Three years Physical Teaching Experience, Permanent Registration under State Medical Council. Last Date: 15.07.2015, Wednesday up to 12.00 midnight. 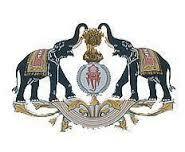 Department : Kerala Higher Secondary Education. Department : Scheduled Caste Development. Qualifications : A Degree from a recognised University. Higher Grade Certificate in Typewriting English (KGTE) and Computer Word Processing or its equivalent. Building materials and construction (Lower). Geometrical Drawing (Lower) . Department : Kerala State Co-operative Bank Limited.